I’m sure you’re already well aware that school is about to start. I mean, if you’ve managed to ignore the commercials, advertisements, and the groans of youths heard all over the state, keep doing what you’re doing. If you’re frantically trying to figure the whole back-to-school rigamarole out, the last thing you want to do is worry about your daily commute to and from your kids campus. 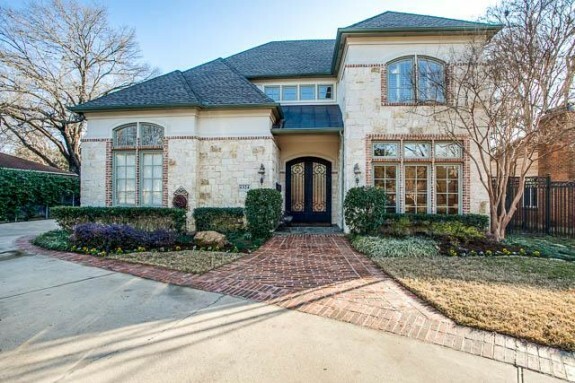 Luckily, the folks at Briggs Freeman Sotheby’s International Realty have pulled together a great list of homes within shouting distance of great schools. Put a contract on one of these homes and enjoy a few extra minutes of shut-eye as you’ll live within blocks of your child’s school. If you live near Churchill Way, your property values are about to go up. The Alcuin School has pledged $1,000,000 to fund neighborhood security patrols in the neighborhood — $100,000 per year over the next ten years if the ‘hood agrees to a small zoning change. Why are they doing this? To be nice neighbors. 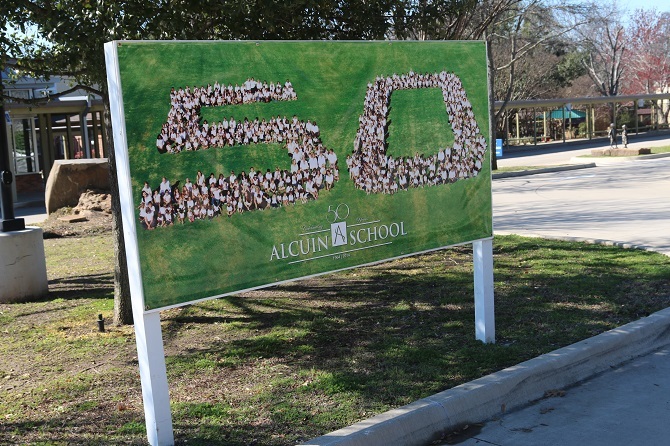 Alcuin (used to be St. Alcuin but they dropped the “Saint” a few years ago) wants to expand its International Baccalaureate program and upper school. To do so, they have filed a zoning application with the City of Dallas. As anyone who has had a child in a private Dallas school knows, competition to get in is fierce and once your child is in, you want to keep them there. Alcuin, like other private Dallas schools, evolved from an elementary program. They now have a high school program known as an International Baccalaureate. It is currently only open to 35 students. The school wants to open it up to 100 more students in grades 10 through 12, for a total upper school body size of 180. The neighbors are having a fit over this and opposing the re-zoning. Why? They are concerned about the increased traffic this might bring to Churchill Way, which most would like to see maintained as a country-ish road. Classic. 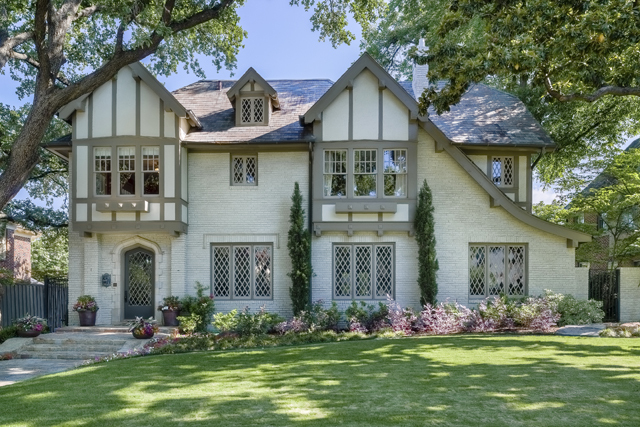 That’s how I’d describe this stunning traditional near Saint Mark’s School of Dallas. It’s a beautiful home that is grand without being pretentious in an area that is safe, accessible, and filled with caring neighbors and families. 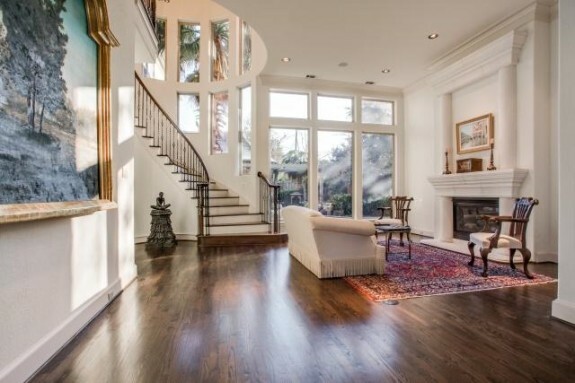 This particular home has so many wonderful details, too, including an open floorplan and spiral staircase that makes the living area feel a little magical. Listed by Yvette Grove, 6324 Pemberton is a wonderful home on a private cul-de-sac in which to make a fresh start for 2014. Leave behind the clutter and claustrophobia and move your family into this bright and beautiful house. It’s on the market for $1.3 million and is worth every bit thanks to the tons of windows, beautiful woodwork, and top-notch kitchen. 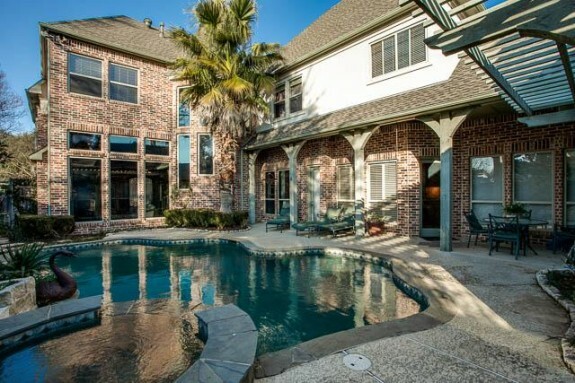 Two living areas, an upstairs billiard or play area with a wet bar, a huge dining room, and an open kitchen make this home great for hosting all sorts of parties, especially those fundraisers you’ll be organizing should you send your kids to any of the amazing private schools within throwing distance. 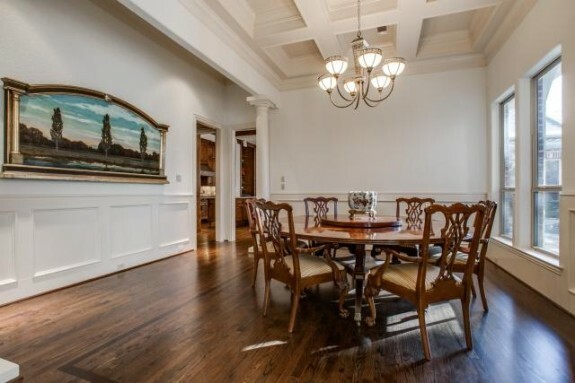 Tall ceilings with designer light fixtures make this home feel luxurious and spacious without being too big for its britches, if you know what I mean. And a fantastic wine cellar is just the perfect addition for anyone doing any amount of entertaining. 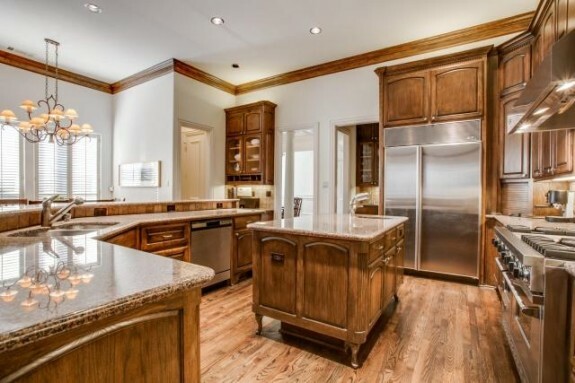 The kitchen is exceptionally well-appointed with commercial-grade appliances including a range with double oven and a spare prep sink in the petite-yet-functional island. Granite counters and copious counter space will give even the most discerning home chef enough room to create Michelin star-worthy meals. You’ll also appreciate all of the rich wood cabinetry, the built-ins, and the cozy breakfast nook overlooking the backyard. 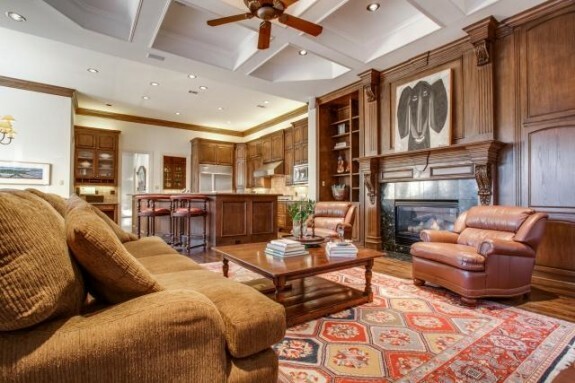 And with five bedrooms, four full baths and two half baths, this house can fit a family of any size. This 1999-built custom is ideal for households with children who are a bit older thanks to the main-floor master suite. The master, which has a bank of floor-to-ceiling windows that make the room feel so light and bright it seems twice as large as its 16×21 size, has plenty of scenic appeal. 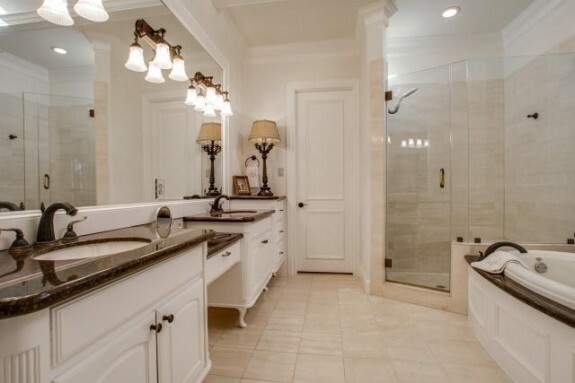 The five-piece master bath has impressive amounts of cabinetry and a lovely soaking tub and separate shower. I love the color scheme and how neutral and classy it is without going overboard with the swag. The frameless full-sized shower falls in line with the design, sporting oil-rubbed bronze fixtures. The backyard has a courtyard-type feel, and with fountains and a beautiful little pool, it is exceptionally relaxing and private. With a covered rear patio, a lovely spa, and landscaping that transitions well between seasons, this garden is a fabulous retreat from a fast-paced life.